The CIA’s airborne assassination program is back in the news because a drone accidentally killed Warren Weinstein and Giovanni Lo Porto in January. President Obama praised himself and his colleagues for telling all of us about it three months later. He said something about how transparent he was, and how special we are because we’re open about these things. 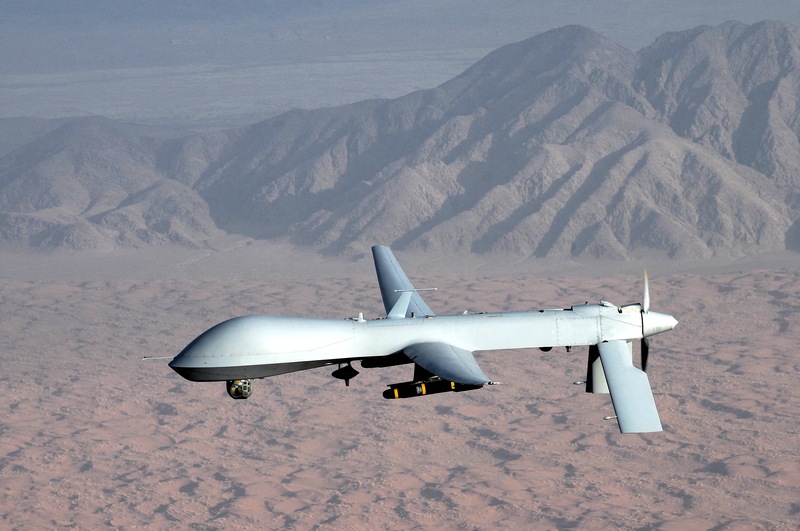 Predator drone armed with a Hellfire missile, in flight. So let’s ask this simple question: why does the CIA, not the Department of Defense, operate a program designed to kill people by remote control? Because feds want to keep the program secret. Why do feds want to keep the program secret? Probably because the CIA runs it. Also, once you acknowledge that the CIA engages in sustained assassination and warfare, you have to explain that kind of thing. You could simply assign airborne assassination to the Pentagon. It has that kind of expertise, and it keeps secrets pretty well. With the CIA, though, you have that extra aura of protection that goes with espionage. We ought to wonder why we tolerate a secret intelligence agency that conducts lethal military operations. 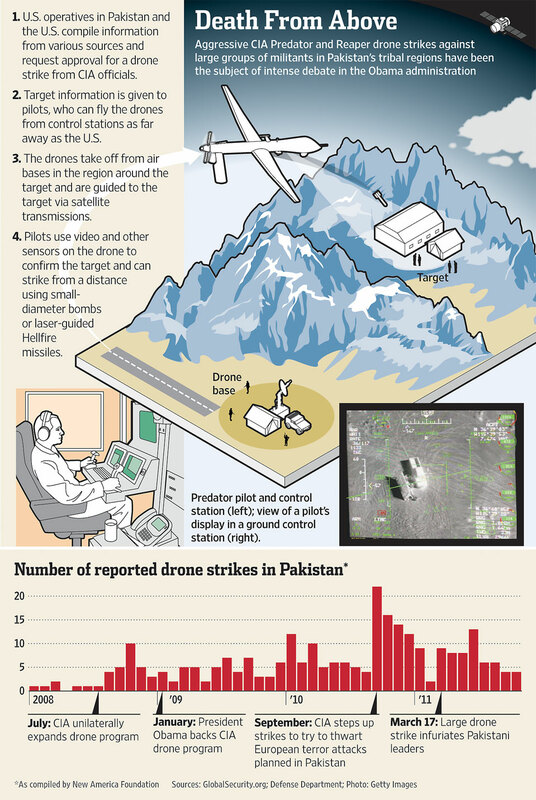 One source estimates that the drone program has killed 4,700 people since it started in 2002. That’s a lot of families who want revenge on the United States. Why do we have a super-secret, public program that uses kill lists and Predator drones to assassinate American citizens and other terrorists who “pose an imminent threat to the American people”? Think about the unreality associated with a program no one in government will acknowledge exists, until they accidentally kill a prominent aid worker. You may find yourself thinking, no one except me knows about this program. I would not have found out about it, but I read about Predators on the internet. The more articles I saw, the more I wondered, why do I know about this secret CIA program, when everyone involved pretends it doesn’t exist? Would the program be less effective if people stopped the “Who me?” act? Then I found out that other people know about it, too! The president is talking about it on television, from the White House! So I thought, what’s going on? Why is this program so secret, and so public? Why is the CIA in charge of military operations? The president stands behind his podium to apologize for Dr. Weinstein’s death, but you won’t hear him explain why the CIA operates its own air warfare program. You don’t hear feds ask that question at all. You certainly won’t hear anyone ask feds that question. If the program doesn’t exist, you can’t ask questions about it. Suppose feds told you that the CIA’s kill list is none of your business. So bug off. They don’t say that, but suppose they did. Would you bug off, or would you try to figure out why our central intelligence agency engages in military activities in other countries? I guess the agency will claim its share of secrecy, no matter what it does. If it’s not secret, it’s not worth doing to begin with, right?